The NetAcquire Windows Toolkit offers the convenient integration of NetAcquire systems with both Microsoft Windows applications and Microsoft Windows programming languages. The NetAcquire Windows Toolkit provides a selection of tools for managing and reading data from NetAcquire servers over a network that can be utilized by both programmers and end users. NetAcquire dynamic link libraries (DLLs) and .NET assemblies make NetAcquire communication functions available to any application or programming language that can make DLL or .NET calls. The NetAcquire client/server model allows time-critical code to run on the NetAcquire server while the user interface code runs on any suitable Windows machine. 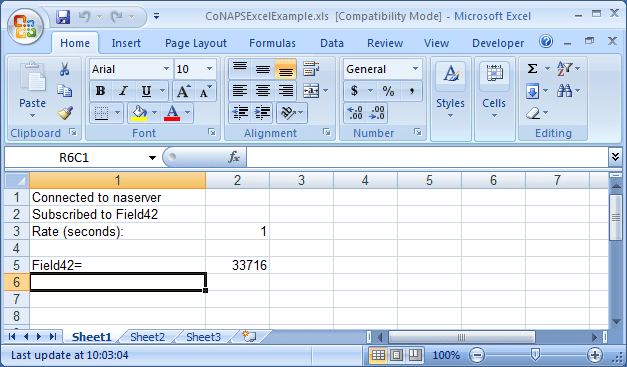 This model combines real-time, robust operation with the ease-of-use of Windows applications. 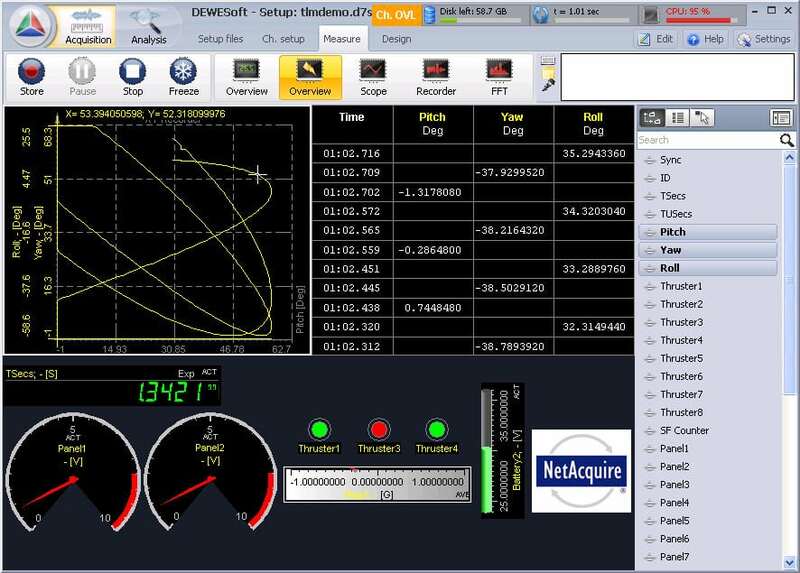 The NetAcquire Windows Toolkit software handles all low-level details of network communication. NetAcquire Windows Toolkit applications run inexpensively on any number of Windows machines on a network without client run-time license charges. For non-programmers, the NetAcquire Windows Toolkit offers an alternative to using the NetAcquire MissionView™ application by supporting several common Windows data analysis applications in addition to many other third-party Windows applications that can call DLLs and .NET assemblies. The NetAcquire Windows Toolkit makes it easy to develop Windows applications by handling all the details of the networking and I/O interfacing; complete distributed NetAcquire applications can be created with just a few lines of source code. Microsoft tools including Visual C++, Visual C#, Visual Basic, and Visual Basic for Applications are all supported, in addition to other Windows programming languages that can make DLL calls. Python support is also included. 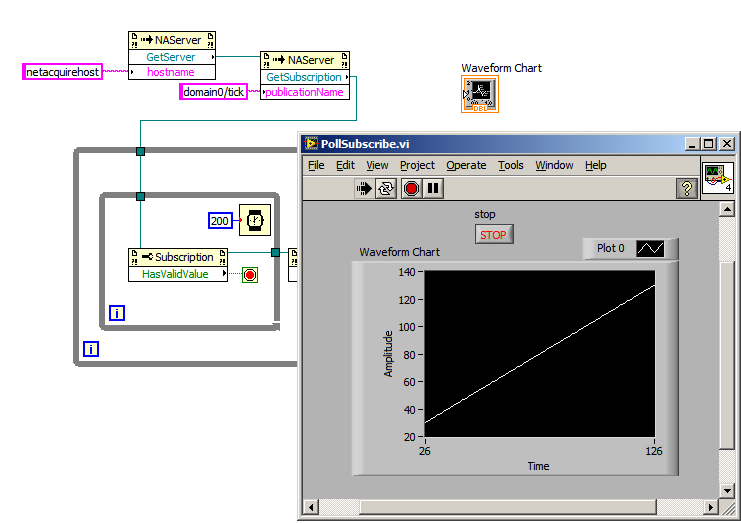 Two data interface APIs are available for maximum flexibility: a streaming data interface and a measurement-based publish/subscribe interface (see example publish/subscribe code in C++, C, C#, Python, and Visual BASIC). A management API is also included that offers full control over NetAcquire server configuration and operation.